Last week I posted information on our Facebook NW Shibas4Life Rescue page. “What is a puppy mill? A puppy mill is a large-scale commercial dog breeding operation that places profit over the well-being of its dogs—who are often severely neglected—treated like property and acts without regard to responsible breeding practices. Puppies, adult dogs, and seniors die every day in puppy mills. Reputable breeders lose money, since breeding and caring for puppies in a responsible, loving, quality-focused manner is expensive. They breed quality over quantity and screen for hips, eyes, heart defects, transmitted diseases, other genetic screening as needed, and for the right sound temperament to minimize their chances of producing health-compromised puppies.” I am a voice for our Shibas, an animal advocate, a caregiver for rehabilitation, and a dog mom for short or long term care. I am Mama D. The Fab Four are not product to a puppy mill breeder like a piece of farm property, profit for the wallets, or a billion dollar industry like Kate Spade. They are animals that want to be loved, want to love someone, and want the pain and suffering to stop. They are man’s best friend! There is great debate on puppy mill dogs and when you buy them you keep the people in business. I didn’t buy them. My rescue didn’t buy them. My job is to retire the pain and suffering and give them a happily ever after. I am the daughter of a Veterinarian and this is my life that I lead with great pride taught to me by my mother and father. This is who I am. These are the dogs that need me. That need all of us in the community. Help us raise the money and give them a happily ever after. Help us heal their pain because my group is in pain. Help us extend our goal and stretch beyond what we thought we needed. Help us reach $5,000 because to change the damaged world, we have to save one life at a time, and together. The Fab Four have an enormous amount of medical costs. We have an estimate back for $4,800 total. That includes start to finish. Now that we’ve had these special fur babies we’re ready to share more about them. Learn who they are and help us give them a second chance at life. These pictures were taken right before surgery and they are thriving with new freedom and lots of love! 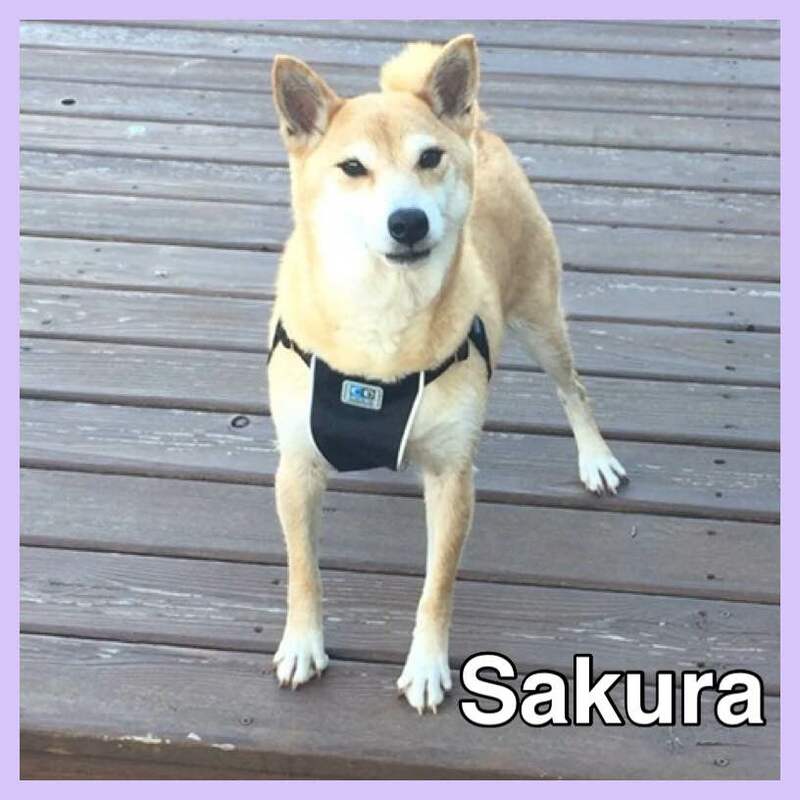 Sakura is a sweet, loving female. She is the most social and forgives humans very easily. Her heart is so happy to see humans and be loved. She gets along well with others. She loves to play in a fenced in yard. Sakura had 21 teeth extracted due to severe dental disease. It’s believed that she chewed her cage or kennel due to confinement and ripped numerous teeth out and had bruised gums. Her spay went well but her uterus was ready to rupture very soon. She is now on her road to recovery. Nikko is a sweet, shy boy. He is our most aloof but when you pic him up he melts like butter. The day he touched our grass he kicked his back legs up like a little horse and then rolled in it. He enjoys his fenced in yard. He gets along with other dogs. Nikko had the best health. He had 7 teeth extracted and a really good tarter cleaning. His neuter went well. He is on the road to recovery. Whisper is a sweet girl. She is shy at first and approaches life on her own terms with a fine balance of wanting to be loved and wanting to watch how things play out. She gets along with others and is passive. She enjoys her fenced in yard. Whisper had 20 teeth removed due to severe dental disease. Her gums where bruised and other teeth missing from former neglect. Her spay went well. She is recovering but being monitored still for infection. We hope to bring her home tomorrow. I find it hard to hold back the tears. Apollo is a baby in size and heart. He is 18.5 pounds and very sensitive. He desperately craves human affection and will follow you around. He enjoys his fenced in yard. His neuter went well and had two incisions since one testicle never dropped. 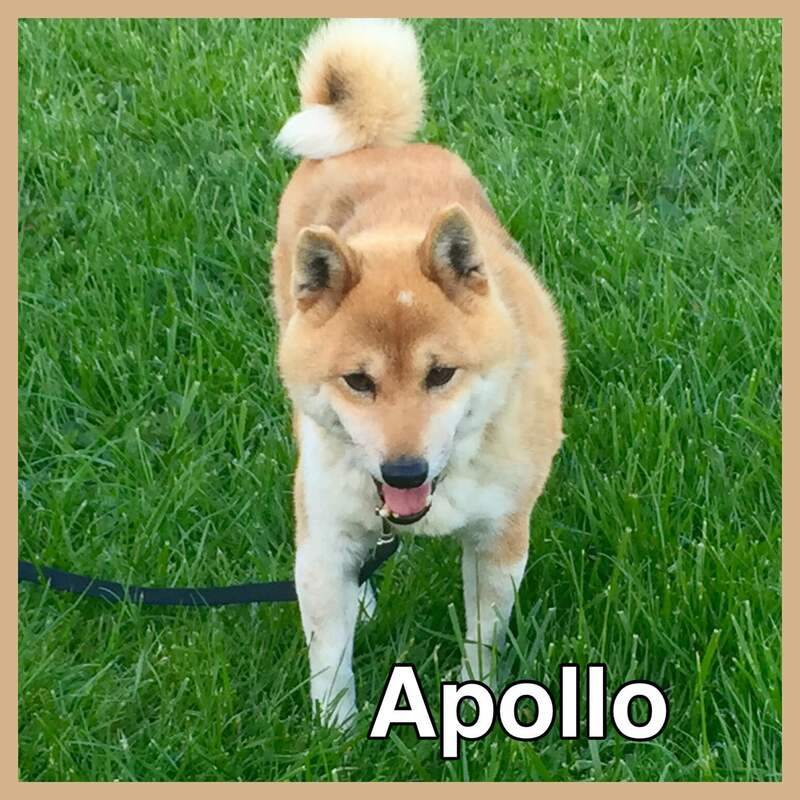 Because of severe dental disease and infection Apollo had all of his teeth extracted. He was not doing well and is being monitored with IV meds at least another day for pain and comfort. So what’s next? Participate in celebrating Winnie’s 16th Barkday more details about a chance to win a brand new, fully loaded iPad until May 26th! I know some of you have given so much already but change costs money and the Fab Four need a change! Please consider giving up two coffee drinks or a lunch. Share if you haven’t shared to reach more people and increase puppy mill awareness. You have helped us save their lives and with severe dental disease it was a matter of time before kidney disease or heart disease followed. They’re hurting now but will heal and thrive very soon! Help us, help them, and together we will make a difference! God Bless our animal communities! Who is Winnie? She was given the name Hoshi at her birth, and she was abandoned at a park in Concord, Calif., in July 2014. Her original home denied ever owning her; however, microchips don’t lie. Sadly, a 15-year old senior isn’t likely to be adopted from a shelter. Luckily, the Bay Area Shiba Inu Meetup group stepped in and made sure she would know the pleasure of grass under her feet, sunshine on her fur, and lots and lots of love. A transport plan was developed, and Suki’s Senseis and Malachi E. Coyote delivered Hoshi safe and sound to our rescue. We changed her name to Winnie because she did not respond when we called her Hoshi. She was ready for a new beginning and Winnie the Pooh has a happy ending! May 26 is Winnie’s 16th barkday, and to celebrate, there will be a month-long Barkday Celebration at NW Shibas4Life Rescue! We promise lots of shiba shenanigans, surprise drawings, a most pawsome gift basket with a brand new iPad Air 2, a very special slideshow, cake time, and more! A girl only turns sweet 16 once, so we’re having a BIG pawty! Instead of being spoiled with tons of special barkday gifties, Winnie wants to raise funds for the many shiba sisfurs and brofurs out there who need to be rescued, need quality nutrition, vet care and meds! 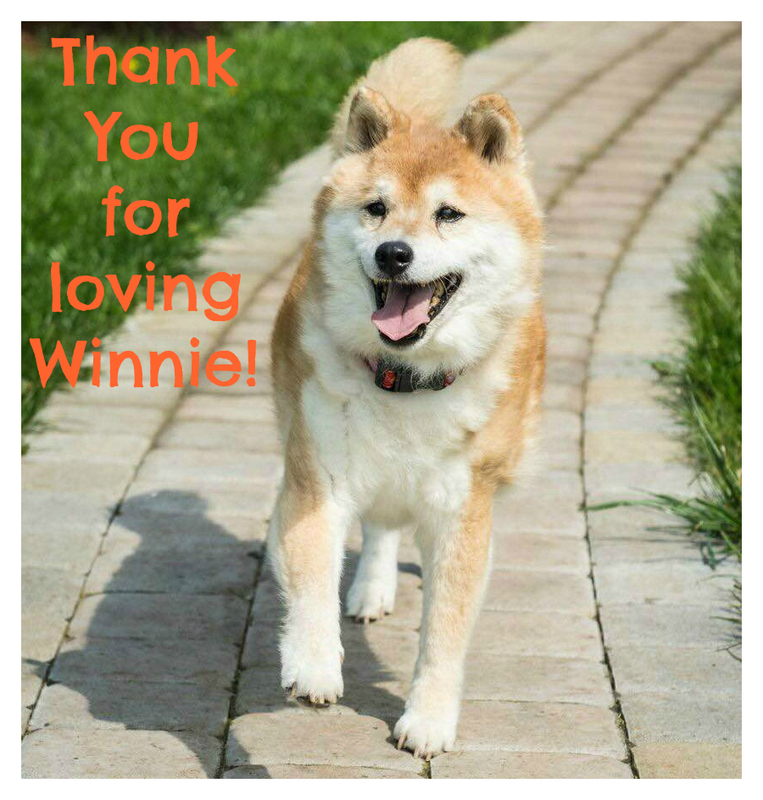 OMD, just as Winnie told us her special wish, four shibas from a puppy-mill needed rescuing! NW Shibas4Life Rescue pulled them from Nebraska. 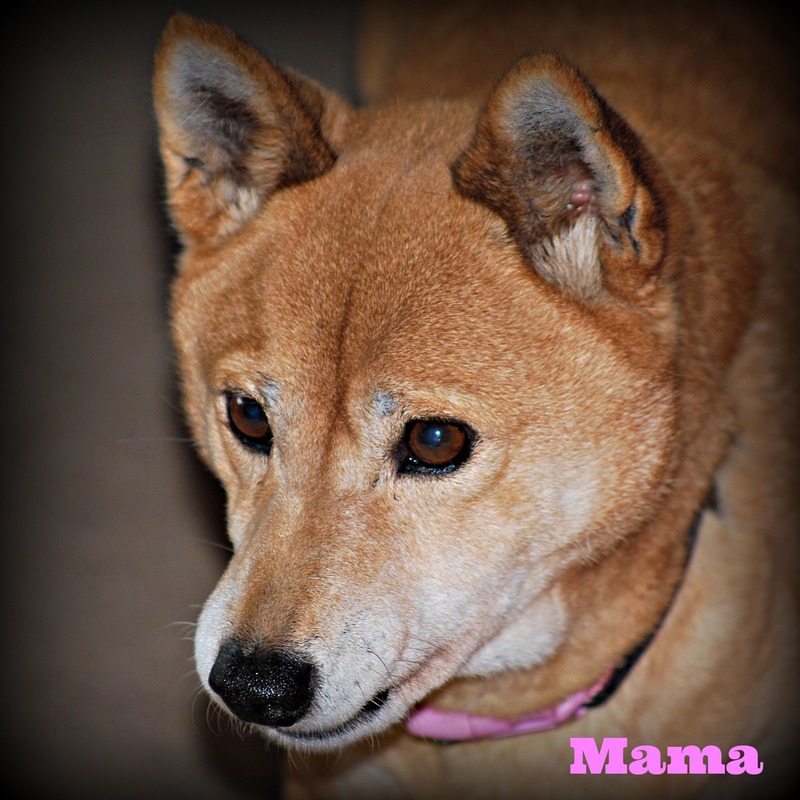 We could not of done this without Dian Larsen and Karen Mayfield from Colorado Shiba Inu Rescue! Two amazing woman who share our same passion! Please meet our special four that require vaccinations, blood work, x-rays, dentals, spay/neutering, and more. Our goal is to raise $3,000 and give these four, very special shibas a new start on life — just like Winnie got! Can we do it? We can with your help sharing, participating, and driving results for the love of our rescues! 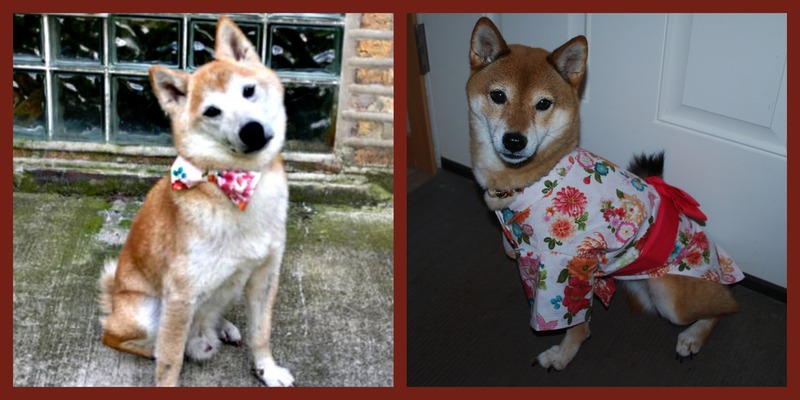 Winnie’s Barkday Celebration is NW Shibas4Life Rescue’s big spring fundraiser, so please enjoy all of the fun with us; we regret we cannot participate in Shiba Prom this year. June is anticipated to be such a busy month for the rescue; however, Jewel will be watching and cheering for a new Shiba Prom Queen from the sidelines! 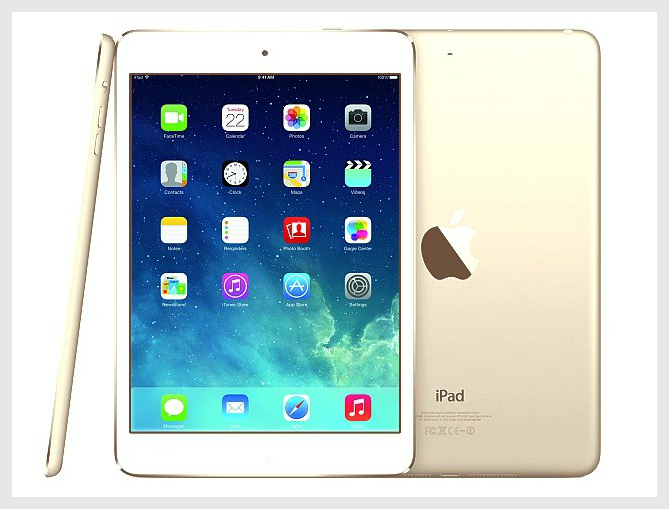 Wi-Fi, 64GB, Retina display, 8MP iSight camera, 1080p HD video, Apple Pay enabled, Fingerprint touch ID sensor, and so much more! How? With your generous support! 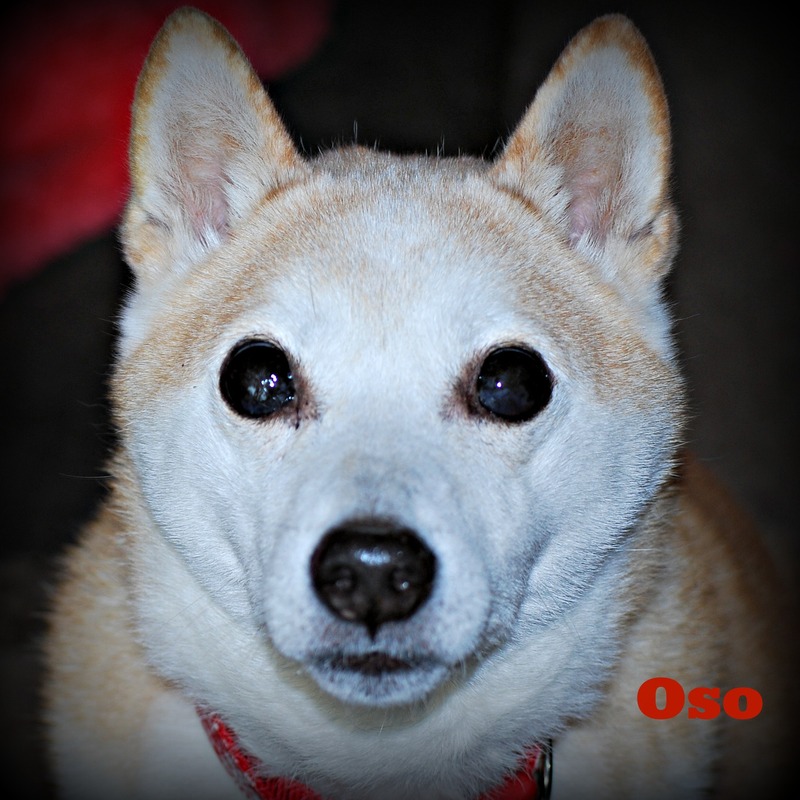 Why: To help shibas in great need who were saved from a puppy-mill in Winnie’s Barkday honor! 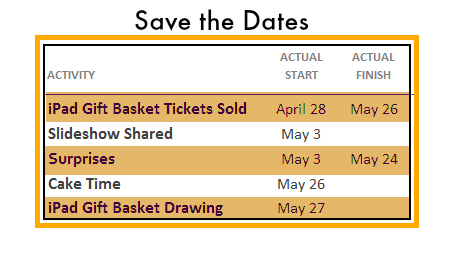 Buy tickets, now through May 26th (end of day your time zone)! Don’t miss any of the fun on our NW Shibas4Life FB page! If you Care, you’ll Share! See you there! As another year comes to an end I like to take time and reflect on all of our memories and all of our blessings. Thank God for Shiba antics because it’s why most people love our dogs! Our 2014 special memories include three special fosters who are no longer with us and passed away. Kioko was sixteen and came to us when her owner passed away. She was a bossy girl who told us how she liked things, how her bed was suppose to be made, and how many cookies she expected. She stayed with Tony in his office because he was unruly and she kept him in line. She would chase other fosters off her bed. Every once in awhile she played with us for a few minutes just to amuse us silly humans. When she started in with seizures and they didn’t stop we needed to ease her pain and let her go. Today, we know she is still chasing others off her favorite cloud at Rainbow Bridge! Meko was sixteen and was found roaming the streets, crippled. She was an extremely happy girl and always greeted us! She instantly became Prancer’s girl and they did everything together. Meko was full of life and when the Dr. told her she wouldn’t walk again she proved her wrong because a Shiba is no average dog! With continuous rehab and alternative care we taught her how use her nerve-damaged leg. Meko had a happy life with us and full of love and attention. One day she wouldn’t get up and we discovered discs collapsed in her back that rehab couldn’t help this time. Due to the pain and crippling location we listened to Meko tell us to please let her go. Today she runs at Rainbow Bridge stronger than ever and is probably trying to steal Kioko’s cloud to get a reaction out of her! Emi came to us late summer. My heart still breaks as I type this. She was abandoned at a shelter and was believed to be between 12-14. Emi was in rough shape with cuts and bruises and was skin and bones. She was dehydrated, anemic, malnourished, and could not gain weight. We took one step at a time with full blood work, xrays, and special care. She bonded with Devie and they slept close to each other. Once a week she went in for fluids and ate 4 small meals a day of only cooked food. From day one, she showed us gratitude and within one week she was in our lap and didn’t want to leave. By four weeks we just started to see significant improvement and she was gaining good weight and becoming stronger. She would trot faster to keep up with others and made sure she gave us kisses. We checked on her quite often. One day when I went out to see my special girl I was devastated to see she lost consciousness and was lying in her urine. We wrapped her in a warm blanket and rushed her to the ER. After many tests and oxygen, we were informed that she slipped away into a coma due to a spinal infection. The specialist said she would not wake up so I told Emi how blessed I was to love her and that she was the best baby ever. Then I let her go. I believe she is at Rainbow Bridge playing with Meko, Kioko, and others and bragging about how spoiled she was! These memories are sad but I wouldn’t trade them for the world because each and every Shiba reminds me of how much love an animal can give us even during the worst of times. All three girls had no other option. Our blessings included eight very special puppies sold at auction and named Kristoff, Eric, Charming, Ariel, Jasmine, Mulan, Snow White, and Belle. Our special gift this year is knowing that they will never be a part of the commercial breeding system that treats animals like products through the pain and suffering of neglect and abuse. We thank you for your love and support that allowed us to provide everything that the puppies needed! 2014 was an incredible year for fundraising with an increased amount of love and support that our group felt. My husband, Tony stays pretty quiet because he works behind the scenes to ensure our Shibas have a safe environment and special attention! He is an incredible, loving person and I am blessed! 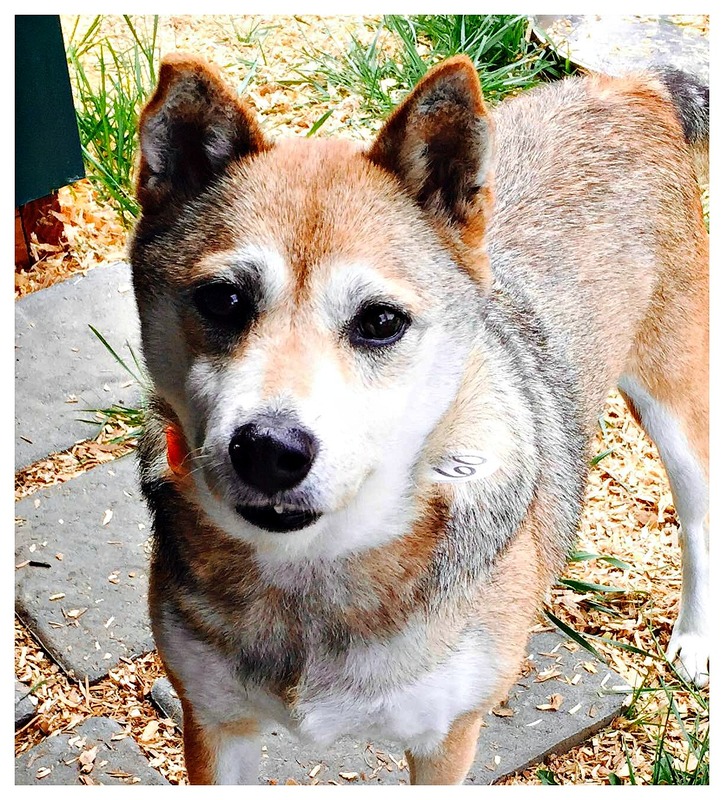 Our Spokesdog, Jewel Inu has so many people that love her and was able to visit a lot of them in Novato, California in June. She is an incredibly special little Shiba and we are blessed that so many people see what we have always known. Our group is small and Jean MacTarnahan and Kendra Schuett are my foundation of support. They take on inhuman strength for rescue and give their heart and soul! They are my closest friends, my heart, and my sisters. In addition to their help we had two special helpers this year. Malachi E. Coyote continuously supported us with his coyote genius for fundraising and had a huge role in our fundraising throughout the year. He visited us numerous times to help with rescue chores and is a pawfect role model for puppies! Thank you Malachi for your generous donations, love, and support! Suki’s Senseis and humom, Kathy Oppenheimer were also a huge help with creative fundraising and Kathy was even our Auctioneer at our picnic. We believe people bought from her because they were afraid not to! LOL. She helped us through the holidays and even made visits to help care for puppies! Thank you Suki and Kathy for your generous donations, love, and support! I can not imagine accomplishing our significant goals without you and we are blessed with your friendship! One more person in our lives is Kathy Centracchio. She is Jewel’s Auntie and personal designer. Jewel has her wrapped around her little paws and everything she makes is full of so much love and perfection! Kathy is one special friend and we love her dearly. As we ring in the New Year we will continue to fundraise, continue to ask you for support, and continue to intake Shibas who have no other options. Together, we are saving one life a time and we count our blessings today, tomorrow and always! As one year ends I wish all the negativity and difficulties to also end and that 2015 brings you good health, happiness, and many new blessings! NW Shibas4Life Rescue partnered with Midwest Shiba Inu Rescue (MSIR) to successfully rescue eight Shiba Inu puppies from the Missouri puppy mill auction on Nov. 1st. The puppies arrived at our sanctuary in Oregon on Nov. 4. We have received many inquiries regarding adoption of the puppies. Please read the following FAQ carefully and follow instructions if you are interested in pursuing adoption and meet our criteria. Please note: NW Shibas4Life Rescue will not be accepting adoption applications for the puppies until December 2014. Shiba Inu puppies are some of the most adorable puppies ever; however, they aren’t for everyone and can be extremely challenging. Therefore, we feel it is our responsibility to ensure that we screen potential adoptees very carefully to ensure that these puppies are placed in homes where they can thrive, receiving socialization, training, exercise, love and understanding for a lifetime. -When will the puppies be available for adoption? All of the puppies must be vetted and evaluated before the adoption process begins. They all have traveled a long distance and we will require several weeks time before we are confident that we identified any specific needs or personality traits that would help us best match a puppy with its future forever home. The pup will then transition to foster care until they can be spayed or neutered at the end of January 2015. After each dog has had this surgery, it is ready for adoption. -Can I get a puppy that hasn’t been spayed or neutered? No. These puppies will not be part of a continued cycle of irresponsible breeding. It is the practice of all responsible rescues to spay neuter dogs before releasing them to forever homes. -I don’t live in the Pacific Northwest. Will you ship the puppy to me? Sorry, NW Shibas4Life Rescue believes that it is in the best interest to always find forever homes close enough for the new family to drive to the rescue. Luckily, there are plenty of interested potential families in the Pacific Northwest. -If there are plenty of interested families, do I have a chance of adopting one of your Shiba Inu puppies? Yes! We have eight puppies. There are a number of experienced NW Shiba4Life Rescue families that have previously provided wonderful homes for our dogs. 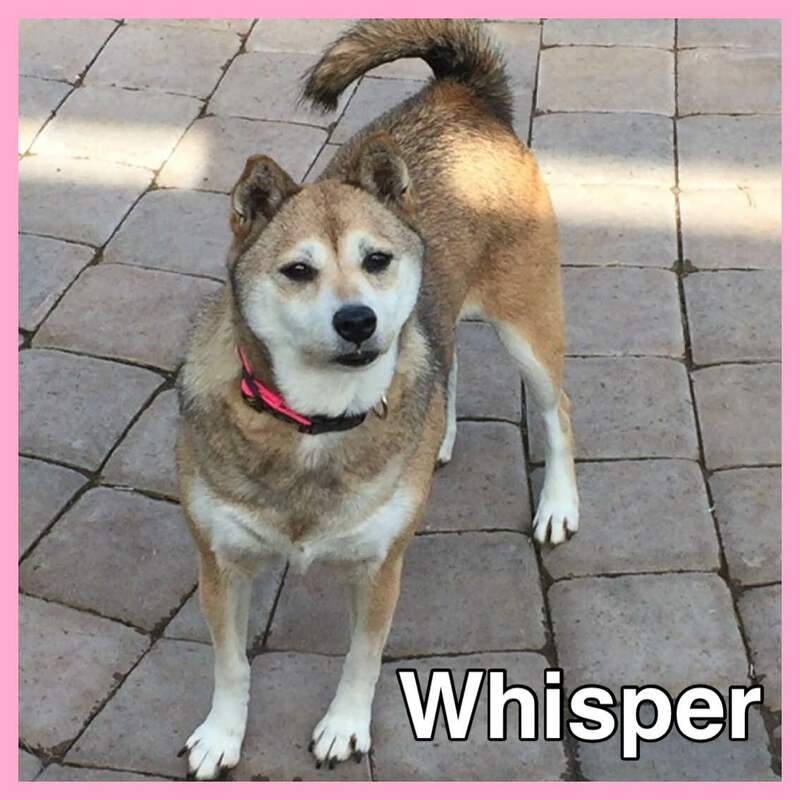 Within the last year or two, several have lost their senior Shiba Inus after providing many years of excellent love and care. We also have a couple of experienced foster families that will help our rescue with the extremely important job of providing love, training and socialization during these crucial early months; however, at this time, these foster families have not decided that they are interested in adoption. There will also be several puppies that are fostered here at NW Shibas4Life Rescue. If you meet the minimum criteria (below) and are interested in the 15-17 year commitment that comes with a Shiba Inu puppy, you may wish to proceed with an adoption application when the opportunity becomes available in December 2014. -What are the minimum criteria required to be considered a suitable home for one of these Shiba Inu puppies? 7. A home visit by NW Shibas4Life Rescue or a trusted member of its rescue friends network must be possible. -If I decide I meet the minimum criteria and decide to submit an application, what else will be required if I am given an opportunity to adopt a puppy? 1. Puppy Wellness visits and spay and neutering fees will be paid directly to the veterinarian used by NW Shibas4Life. At this time, we estimate that costs will run approximately $350 per puppy. 2. Choosing a puppy by color may not be possible. If it is crucial that you have a particular color puppy, please let us know. If we cannot provide you with your choice, we would prefer not to give you a puppy to adopt. The puppy must feel unconditional love. There will be plenty of families that want each and every puppy. 3. 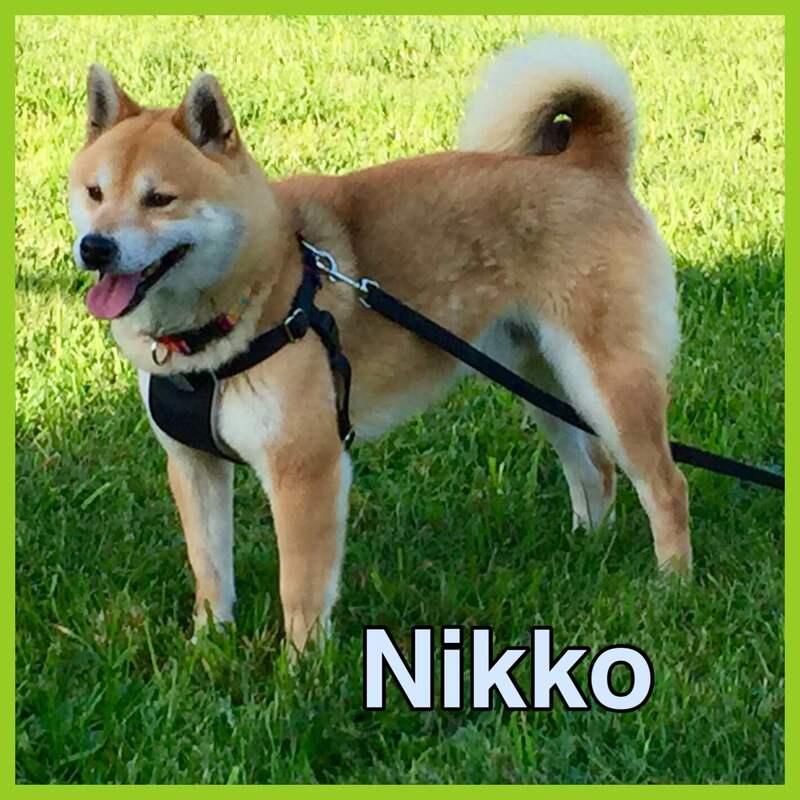 Families will be asked to sign an agreement that if they are unable to keep their Shiba Inu for any reason they will contact NW Shibas4Life Rescue FIRST before taking any action to rehome the dog on their own. We have first right of refusal to take back the Shiba Inu, at no cost, and find it another home. 4. Shiba Inus puppies are strong-willed dogs. Families that adopt a puppy will be asked to take puppy training with their pup to help bond the two and provide a common language for future training at home. 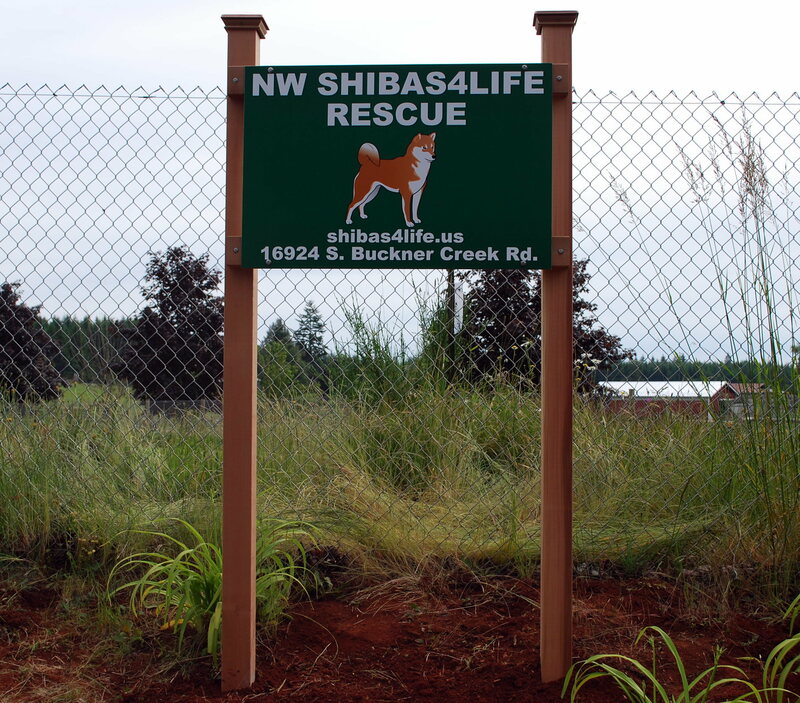 NW Shibas4Life Rescue will be reporting on the progress of its eight pups and their new forever homes. Graduating from puppy training school will be an important part of that progress. 5. Proper nutrition is crucial to healthy, happy Shiba Inu dogs. Although not mandatory, superior nutrition is highly encouraged. Newly adopted families will be sent home with puppy food that should be continued until the dog reaches four to six months of age. If you are interested in be added to a mailing list to receive a special adoption application for the Shiba Inu puppies, please email shibas4life@gmail.com and write “Puppy Adoption Email List” in the subject line. Please DO NOT ASK ANY QUESTIONS REQUIRING A REPLY IN THIS EMAIL. We are busy caring for the puppies right now. Thanks for your understanding! When the adoption application and specific information becomes available, the information will be sent to the email address you provide. It’s been awhile since I’ve written for our blog. I suppose that’s because finding the time to do so is nearly impossible on some days, most days. We have three dogs of our own and 8 foster dogs that are always my first priority. Then I have that day job I call, “work” and then there’s the need to try and squeeze in a good six hours of sleep a night on a good week. I know I could do things better. I could be more organized. I could stop taking short cuts. I could take more time for me but our dogs could not be loved anymore then they are today, tomorrow, and always! I am no writer by any means and my grammar and punctuation could be improved but I’ll share our year with you from my heart! In 2013 we have so much to be thankful for! We set the bar high because anyone can intake a dog into a shelter, offer him or her food, and adopt each dog out. It’s not enough for us. We demand more, especially for the Shibas that have high cost medical care and the seniors that may be euthanized because of the amount of time, care, and cost it takes to rehabilitate these special dogs. Yes, sometimes we only get a small amount of time to rehabilitate them and love them. It’s sad and sometimes heartbreaking because someone should have done this for them long ago. I would trade everything I have to continue to see a Shiba smile that once could not walk. Have a blind dog follow me around and rub up against me because I relieved his pain. Feel a senior Shiba kiss my face because she is no longer starving. These moments are what complete me. We don’t intake high volume but we do intake and provide high quality of care and the best care to provide each Shiba the longest and happiest life possible. Not all Shibas leave our Sanctuary because the stress will undo all of the rehabilitation that gave them the incredible life they have today. We all love every Shiba that touches our lives and make us better people! Here are our eight special dogs that you supported, donated money and supplies to, and loved far and near. 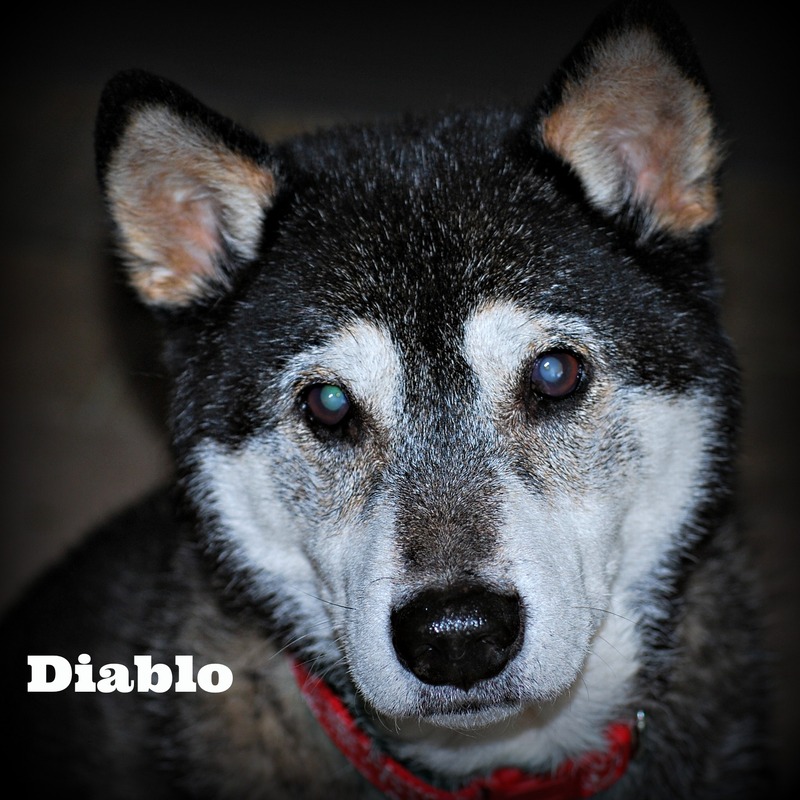 Diablo is our oldest sanctuary Shiba. He is now 10 years old. He came from a life of abuse. He weighed 19 pounds and should have been 32 for his bone structure and frame. It hurt to touch him from day one. He was starved, beaten, and tormented. I had to give him fluids quite often and his stomach was so swollen he didn’t feel hungry. I tried everything including cat food and then one day my son gave him a taste of his macaroni and cheese and he slowly started to eat it. From that day on it was part of his diet. Diablo recovered and learned to be a Shiba by observing and socializing with the other Shibas. He was once adopted but hid under the new home’s bed for almost a week, cried, and withdrew from all socialization. We knew he was meant to be here after that. To Diablo he suffered trauma and we were his only cure. He has thrived for many years and just a year ago he was diagnosed with Degenerative Disc Disease. He has a few bad days but we keep him active, warm in the winter, and control his pain. Diablo melts anyone’s heart that meets him! We love him dearly! 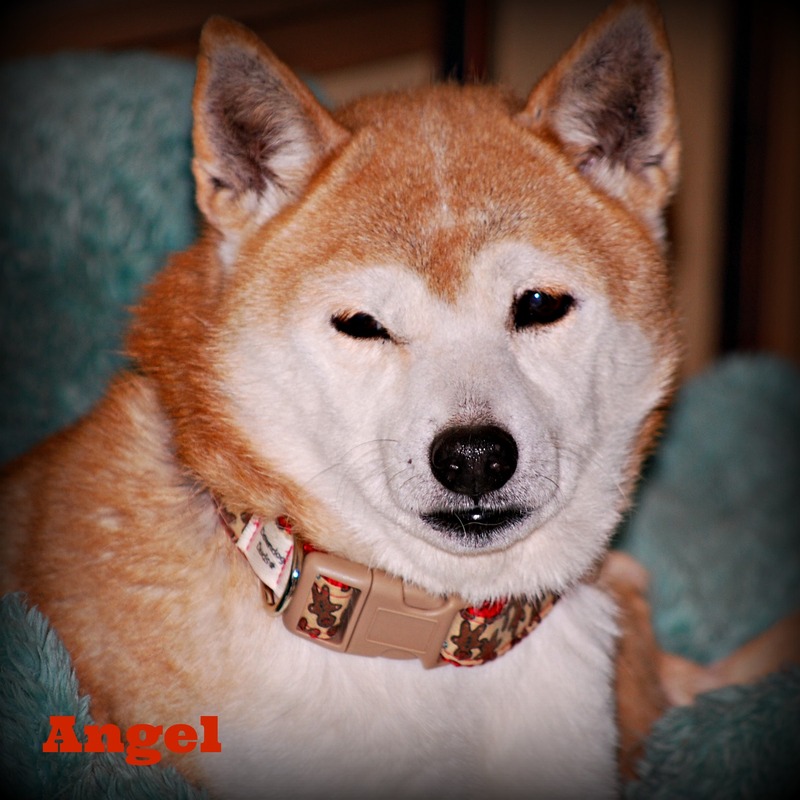 Angel is our youngest Shiba who has lived in our sanctuary for 2.5 years. She is now 4.5 years old. Angel was raised with over 200 dogs of all breeds bred for selfish profit. They had no Vet care, very little food, no clean water, and dug ditches to stay warm in freezing temperatures on acreage. Angel was so little, weighing only 13.5 pounds at the time, could not fight for food, and was found laying on a dead carcass for warmth. She is wild and could not be adopted because no one could touch her. When she finally settled in we discovered she suffered great trauma not living with a large amount of dogs. It was the only life she knew. Angel is very independent. She takes treats from me, knows our routine well, and barks while running Shiba 500’s every time she hears the food bin. She gets along with everyone and is quite the little greeter! She is very gentle and we have no doubt that she is happy here! Mama is our third sanctuary resident. We took her in with six other Shibas saved from an Amish auction. When she arrived she was pregnant and had two puppies a few days later. She was an excellent mama from day one and we had no idea her hip was broken and how bad. Those puppies were her first priority so pain was not an option. Her femur was completely shattered and she needed surgery right away. In addition, we discovered that she had a collar embedded into nine inches of her skin around her neck. It had to be surgically removed. Mama had two surgeries and still needs a future surgery on her neck. She once left our home. She is so traumatized to leave her safe zone and will escape a tight harness while walking. When Mama escaped and was found we decided for peace of mind and her safety she should live here. Mama is truly a mama to all of our Shibas. She loves her cookies and has learned commands eager to please us. She has become our little watchdog and she shines greatly with us! We love her sweet spirit and she’s thrives living here! Oso came to us at the age of 10.5 years old. His owners decided they could no longer watch him go blind and didn’t have the resources that he needed. His eye pressure was so high that it felt like a severe migraine with glass in his eyes. It sky rocketed over 100 when low pressure is 25. We couldn’t touch him because he hurt so much. First we controlled the pain with three different medications. Then we moved on to giving two eye drops, three times a day. Once the pain subsided I realized Oso wanted to be near me all the time. I relieved his pain and he was thankful. I started to make a game of it. Oso let me put his eye drops in and then I gave him a cookie and a hug. He responded to this game quickly because he was so eager to bond. It took a lot of specialist appointments, expensive medications, but in the end he has not lost his eyes. He is now on eye drops just twice a day. Our Vet says it’s a miracle that he didn’t suffer seizures from the pain and that we are able to manage his eye pressure from 109 down to the high 20’s. When Oso has a bad day and I hug him he growls to tell me it’s a bad day and he gets extra eye drops and a pain med. However, on average he has six good days a week and one bad day. Oso is loyal and very loving. One day he may be adopted to a special home that understand his communication and needs but he has a home with us too. We love him dearly and want him to remain pain-free! 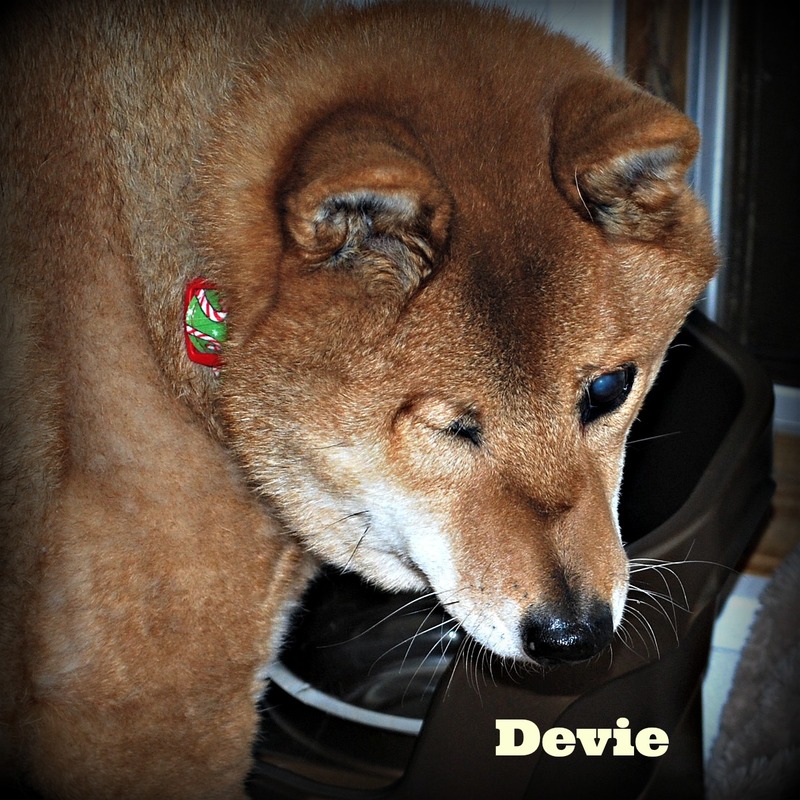 Devie came to us as a senior at age 13.5 years old. Her owner had a major life change and moved. Devie didn’t have any other options. She was 12 pounds overweight because she ate what ever she wanted. She was diagnosed with an intra-ocular tumor of her eye that caused retinal detachment and optic nerve damage. After removal and the healing she started to feel instant relief. Devie has been with us for a good year now. She’s going blind in her one eye and pretty deaf. We were able to get a good 7 pounds off of her with hydrotherapy. Her joints were too inflamed to walk far and the water really helped. Now she goes on walks and enjoys them very much! Devie is sweet and very quiet. She enjoys her warm bed, healthy foods, and interaction with all humans. One day she may be adopted but she is home with people who love her! 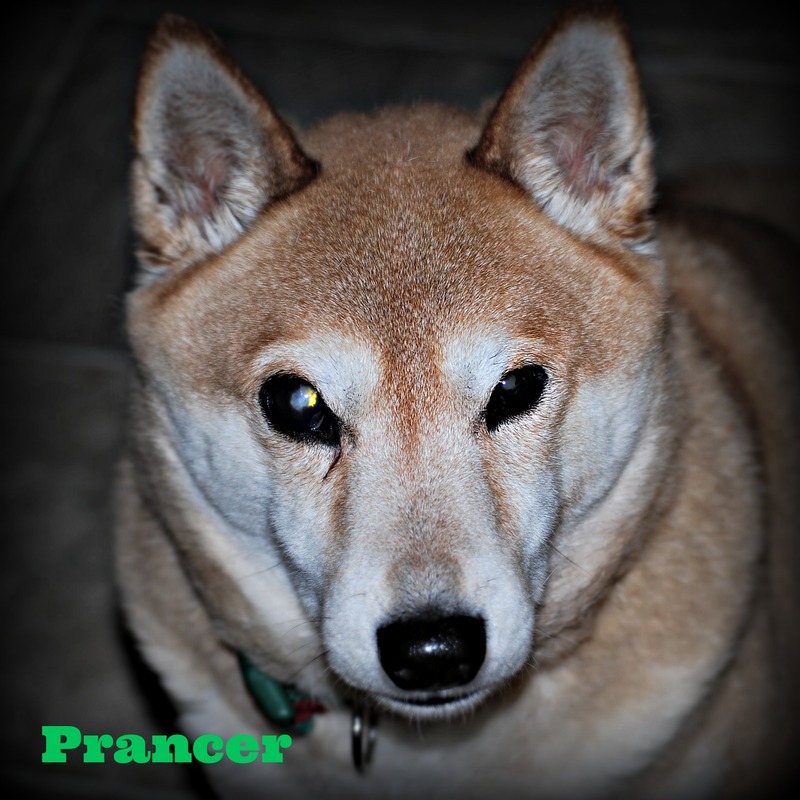 Prancer is 8 years old and came to us when his family gave up on him with kids. 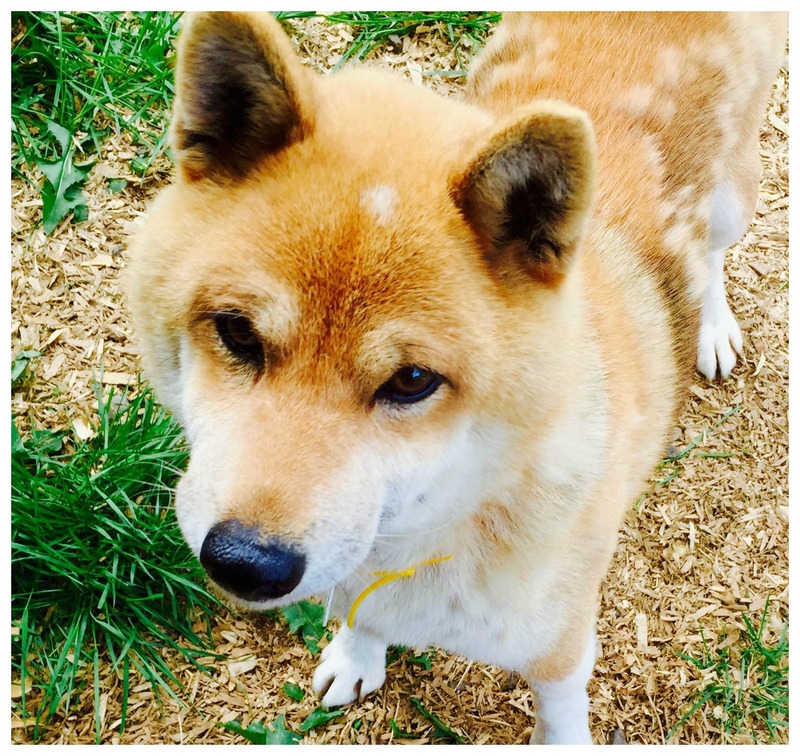 Like any Shiba he needed boundaries but he also needed compassion because due to his cataracts he is almost blind. Unfortunately, we recently found out that due to the nature of his ignored condition for so long the cataracts calcified and he now has low pressure Glaucoma. He no longer qualifies for surgery. Prancer is sweet and loving, more affectionate then most. He is very playful with humans and toys. He is quite the ham and gets around just fine, being blind. Most people don’t realize he’s blind in the beginning because of his confidence. He quickly learns a new routine. Prancer loves walks and car rides. Although he lives with other dogs he will be the only dog. He is adoptable and will make someone a wonderful companion! Miko came to us after being hit by a car roaming the streets. She is now 15 years old. Miko has a plate in her hip and had nerve damage in a rear leg. The Neurologist told us she needed to learn to use it because she was dragging her leg so badly that she lost toenails from it. Over time we taught Miko how to use her leg with pvc pipes. Her brain was retrained to lift her leg and now she uses her leg 75% better! We also needed to have her gain a good 3-4 pounds so she could build better muscle to support her alignment with the plate in her hip. Miko loves food so that wasn’t an issue! She is our sweet little street Shiba who loves to be outside roaming on our property, which is great rehabilitation for her, little frail body. Although she is aging she has had a much-improved quality of life with us and probably feels better then she has felt in some time! Miko will live here in our sanctuary the rest of her life and be loved and spoiled! 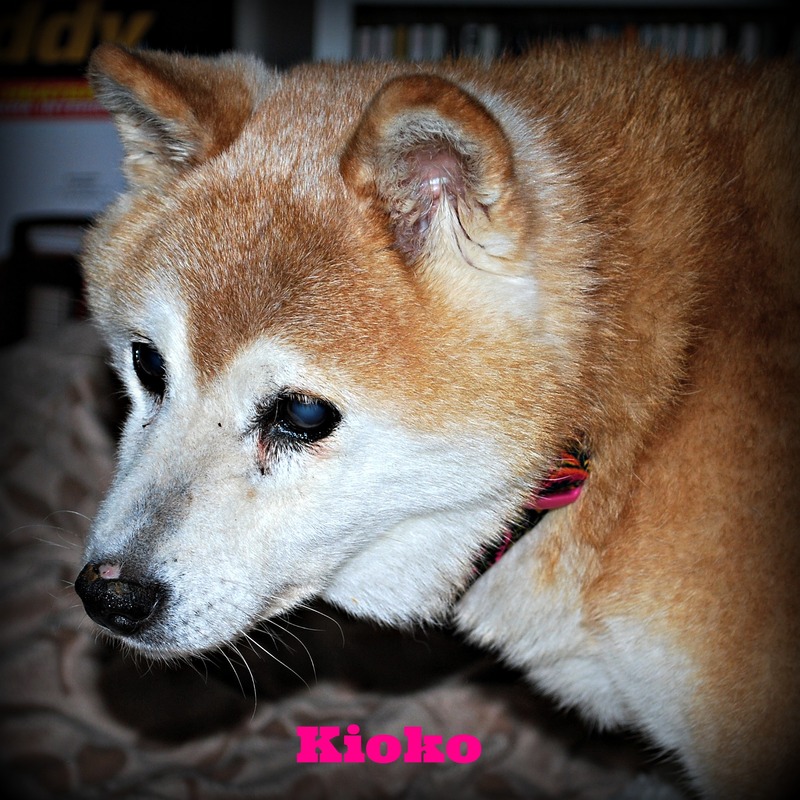 Kioko is 16.5 years old and came to us when her owner passed away. She has many challenges and battles Cognitive Dysfunction Syndrome. She takes Anipryl (Selegiline) to reduce the pacing, crying, and confusion. CDS is very much like Alzheimer’s and causes stress with night terrors and not knowing the people who care for them. She also has a broken bone in her shoulder that causes pain and is inoperable at her age. She is on two pain medications that help relieve her discomfort. When she takes her pain meds and Anipryl we see more good days then bad. However, she no longer takes pills so everything is compounded into liquids or we break up the pills so small and syringe feed her with them. We know Kioko is at the end of her life span. When she has a good day she leans against me to let me know she is near. She acts like a Princess and has a beautiful personality. Kioko will be loved and spoiled until we run out of options for her! These are the very special eight Shibas that we care for each and every day! All of them are in our home socializing with others, in our building, playing on two acres, provided the best of care, and loved very, very much! Thank you for an incredible year that provided us thousands of dollars with supplies off our Amazon Wish List, donations for their Vet care, and the emotional love and support to help us through the tough times! We can’t do this alone and will continue to stay strong with our journey as long as you’re by our side! 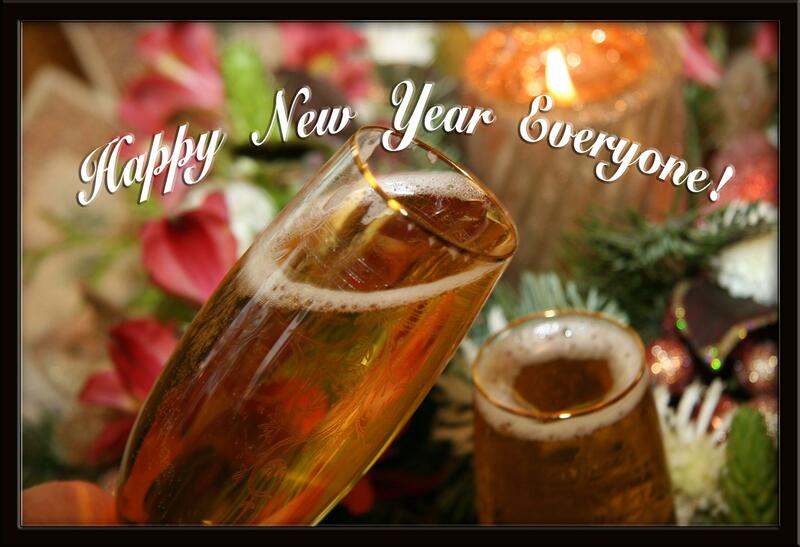 We welcome 2014 and know we will have many challenges, much heartbreak, but a strong support system to will help us through it! Thank you to my husband for taking this journey with me and providing me strength, love, and supporting my passion with Shiba Inus! Thank You Shiba Prom for your unlimited dedication and support from all of the volunteers who promote each and every rescue! I want to give a special, big “Thank You” to Jean and Scott MacTarnahan! Both have supported our rescue with donations due to their loving affection for our breed! Jean is my closest friend and keeps me sane in all moments, provides me strength, and is the backbone to our rescue! Thank you for your love and friendship. You are truly my family! Please help us Welcome Kendra Schuett as our new Secretary and mom of Sparklez DaPooch. Kendra has been a great friend and volunteer with us. We couldn’t be happier to increase her role and welcome her into our family in 2014! As we close 2013 and start 2014 with Jewel’s Barkday we look back at a wonderful year! We will be taking a limited break during the month of January to recharge for another phenomenal year! We can’t “Thank You” enough! Sat., Aug 3rd is the Event of the Year! Saturday, August 3rd is NW S4L Rescue’s hottest event this year! Our Rescue Annual Picnic is a casual picnic to support Rescue by buying raffles, t-shirts with the Picnic theme, auctions, and donations. It’s all about Rescue fun for Shiba lovers to help us raise money for Shibas in Rescue! We will host a light lunch, play time in our two acre dog park, pup pools, contests, and a Shiba wedding! Yep, you heard right! For those of you who know Jewel on Facebook, now know she is marrying Zenji of Max Zenji Fuchi ShibaTrio! Wedding ceremony for the happy couple in front of all of their friends and family! Wedding dress for the bride! A one of a kind dress and not even Princess Kate would reveal the designer at this point! Wedding cake with the happy couple on top and world famous woofle treats surrounding it! Picnic games that include, “Ring Around the Doggie”! Contests: Smallest Shiba and Largest Shiba! 2014 Shiba Rescue Calendar: Tons of photography capturing the special day! Red carpet guests include: D Team’s Suki Senseis, Shibaholics, Shiba Prom Committee members traveling across the US, and much more! Hawaiian Rubber Duckies swimming in pools and bubbles being blown everywhere by guests! We will have two very large baskets to raffle off for $10 tickets! Each basket worth $200 or more! 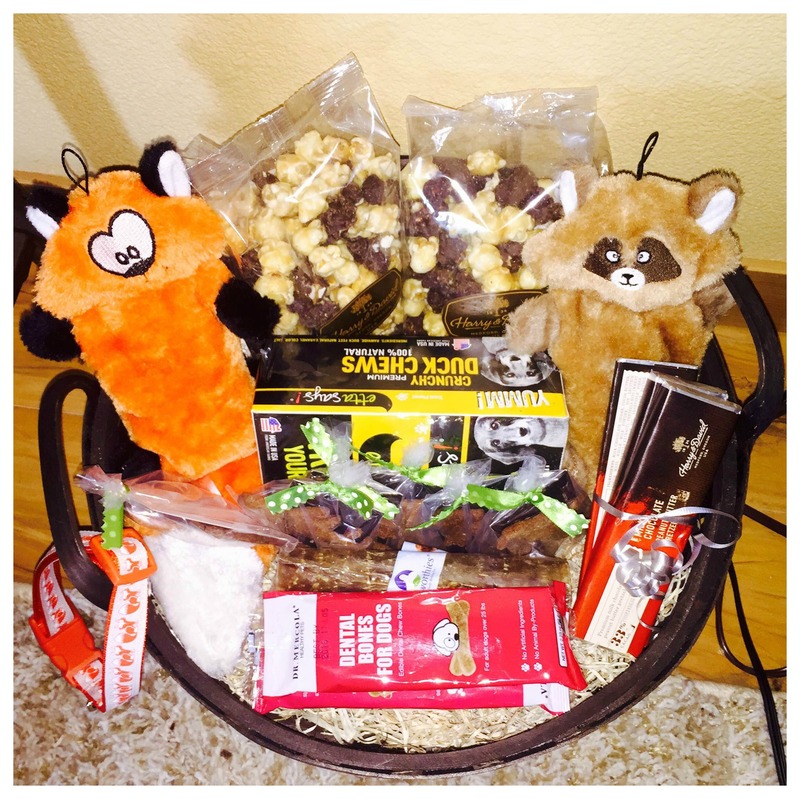 Dog Spoiled Rotten basket for any dog who wants everything! Shiba Addict basket full of unique Shiba items found everywhere, including Japan! We will also be selling our Hawaiian theme (above) Picnic t-shirts for $20 and can be signed by famous Shibas attending for $5 more! PayPal Donation Buttons are posted on our website for convenience! Zenji and Jewel are asking for two special wedding gifts! Fans, Shiba addicts, and Rescue supporters can buy Zenji and Jewel a gift, one of two ways or both if you want to spoil them rotten! Buy raffle tickets, artwork through auctions, t-shirts or Send a Donation via check or PayPal ZJ’s Wedding Money Tree! 2.5 acres fenced in 6′ high for play time! The Roelke’s home and our Rescue! Bring your canopy and/or lawn chairs/blankets for comfort! A light lunch is provided at 11:30 until food is gone! 45 minutes from the Portland Airport! Hotels Close by: Both hotel options are 25 minutes to the Pawty! The Best Directions from I-205 are Google maps! Anything else will take back roads and may be narrow without good signage. Take exit 10 toward Molalla. Merge onto OR-213 S/Cascade Hwy/Washington St/Continue to follow OR-213 S/Cascade Hwy. Turn left onto S Beavercreek Rd. Turn right onto S Larkin Rd. Turn right onto S Buckner Creek Rd. All donations benefit Shibas in our Rescue and don’t miss the event of the year for NW Shibas4Life Rescue! 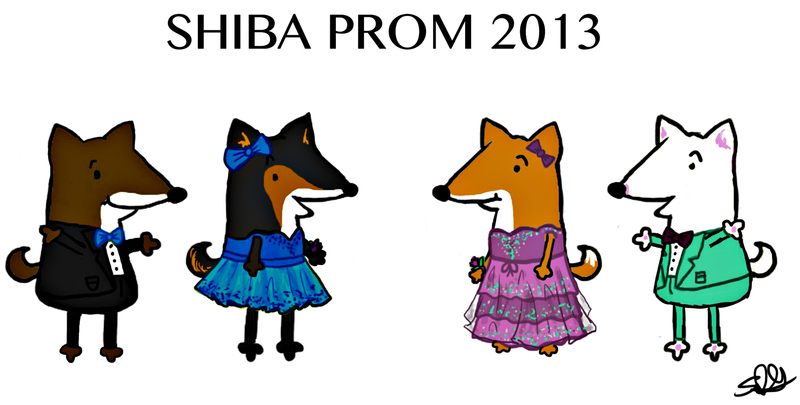 2013 Shiba Prom Is The Event Of The Year! ARE YOU READY TO SUPPORT NW SHIBAS4LIFE RESCUE? We pull Shibas from shelters, Vet Clinics/Hospitals, and intake surrenders from owners at risk of being euthanized due to senior age and/or the high cost of medical care. We are their last option, their last hope, and their last chance for a forever happy ending! 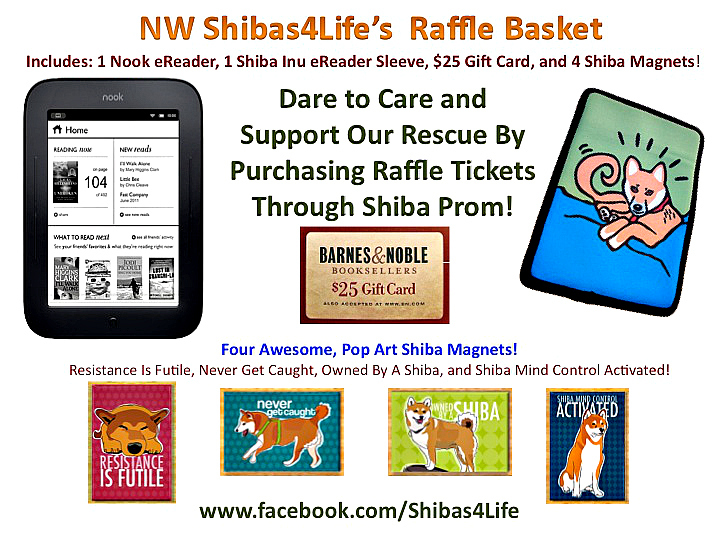 NW Shibas4Life Rescue loves our fans and we will be giving away gifties every week until Shiba Prom! If you purchase 4 tickets from our Rescue Jewel will send you a pawtographed photo and her exclusive Pop Art magnet to remember her by! *All gifts awarded by NW Shibas4Life Rescue, not Shiba Prom. Nominate Jewel for Shiba Prom Queen! Jewel was originally a Rescue at nine months old and we almost lost her due to toxidity. Her leg was caught in rusted chicken wire and the infection led to full amputation. She didn’t have a name and was named, “Jewel” going into surgery. 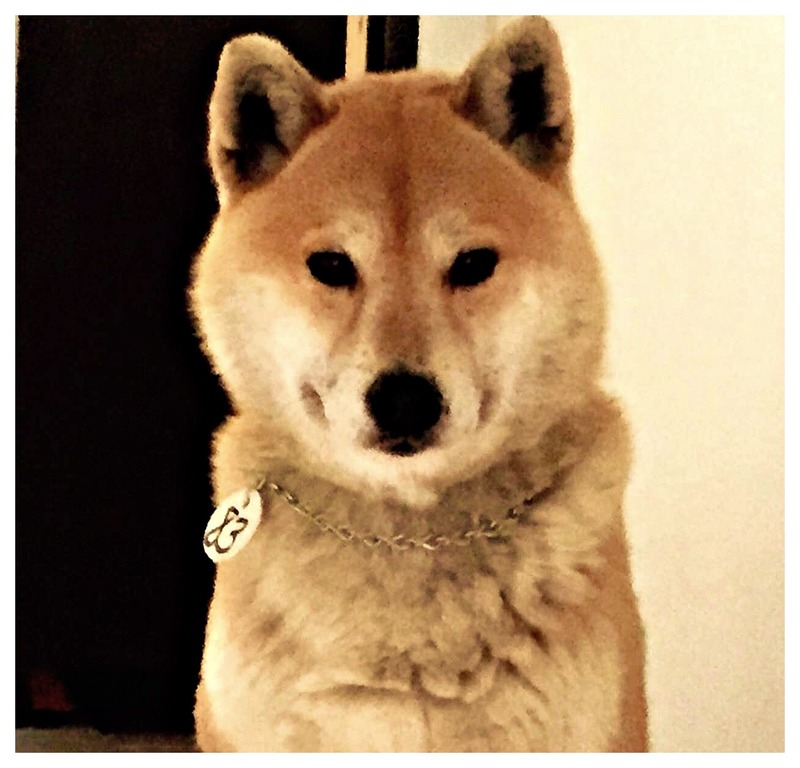 Jewel is a survivor and to pay it forward she is the Spokesdog for NW Shibas4Life Rescue helping Shibas every day! Jewel is also a superb mole hunter, master manipulator, and fashion model! 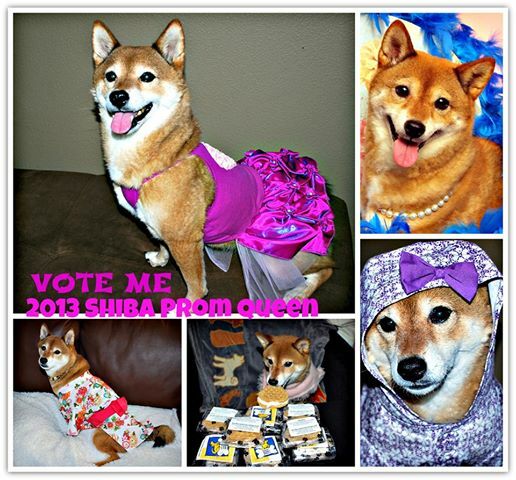 She loves everyone (except Corgis) and wants to be Shiba Prom Queen more than ever! Remember, go to the Nomination page and here is an example of how to nominate correctly. Jewel’s King is Zenji! 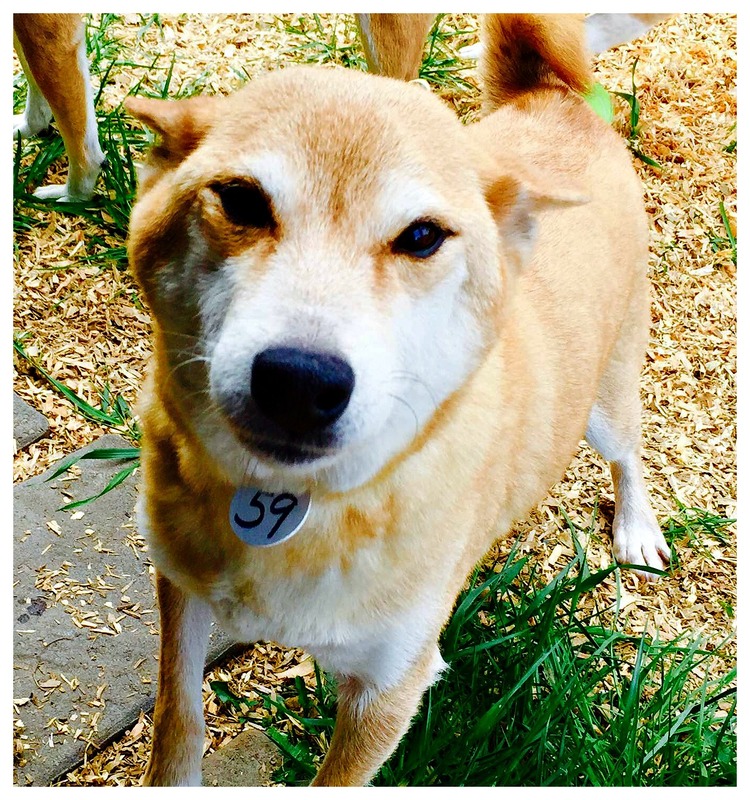 Jewel has all three paws crossed and hopes to be crowned at Shiba Prom! Shiba Prom is dedicated to “Shibas Helping Shibas: Having Fun Raising Funds” and there are so many great contests to enter and raffle baskets to buy! Humans don’t forget to buy your Shiba Prom swag! Remember the Shiba Prom registration starts on June 15th ! Most importantly, please remember this is not just an event this is a HUGE fundraiser that may save a Shiba’s life with the Rescues pawticipating in the event! It’s a win-win for everyone! Get all the great Shiba Prom details on the SP Blog or Facebook page! For more information about NW Shibas4Life Rescue please visit our Facebook page or website! Don’t forget to visit our Amazon Wish List for loot we’re wishing for to make our Rescue a productive, fun, loving sanctuary with superior care, diet, and nutrition! Buy Our Raffle Tickets Starting Now! Nominate Jewel Inu for Prom Queen! Register for Shiba Prom, starting June 15th! Shop our Amazon Wish List Anytime! Saving One Life at a Time with our Fans of NW Shibas4Life Rescue! Thank You for what you do! To provide a higher quality of life for Shiba Inus through education and critical care for neglected and/or abused dogs that are at risk of death if left homeless. To pledge to work with other animal organizations and nurture a partnership to reduce the unnecessary quantity of euthanized Shiba Inus across the United States. Laura McNeilly on Winnie’s 16th Barkday! nwshibas4liferescue on Winnie’s 16th Barkday!